In 1974, SmileMakers set out on a mission to make smiles happen, beginning with dental offices across the country. With smiley face pencils and fun stickers, the company turned tears into laughter. Seeing the opportunities for endless possibilities, SmileMakers expanded their offerings into the medical market, providing the same patient giveaway products to pediatric offices in 1983. 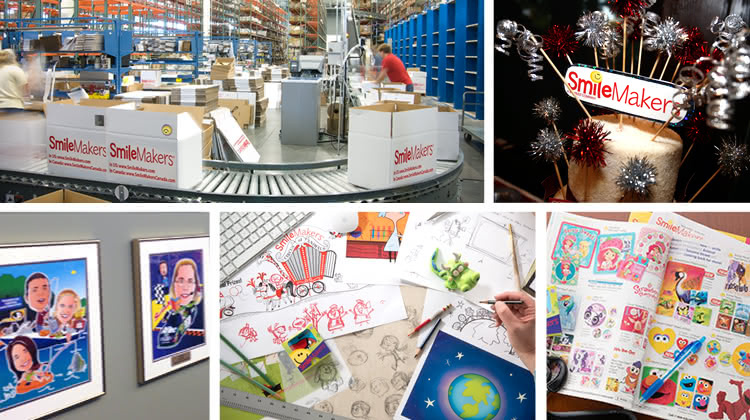 Twelve years later, SmileMakers became the first in its industry to feature stickers on rolls and boxes, and soon developed an online presence with their e-commerce website. Today, with the addition of products for promoting your practice and making waiting areas fun and inviting, SmileMakers proves that little things can make a big difference. The SmileMakers magic isn't contained to just one place. We inspire, motivate, reward, and celebrate from both our headquarters and our SmileMakers Operations Center, both located in Spartanburg, SC. And since we believe that smiles can be shared at any distance, we also have a distribution center and a call center in Canada.